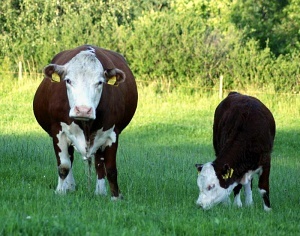 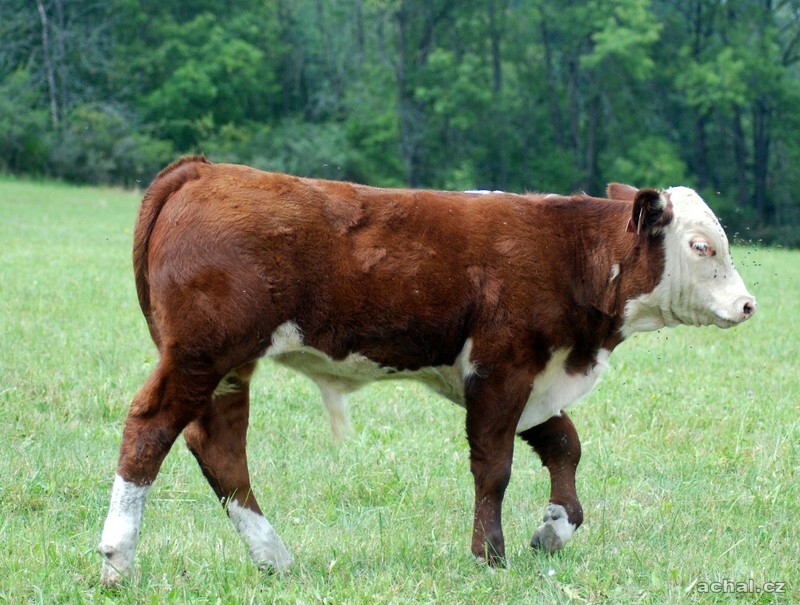 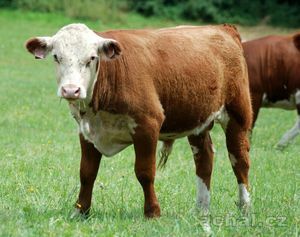 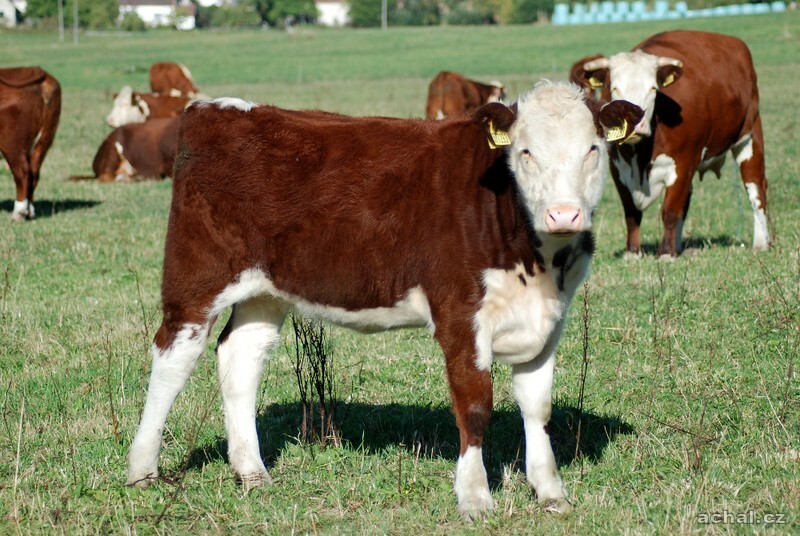 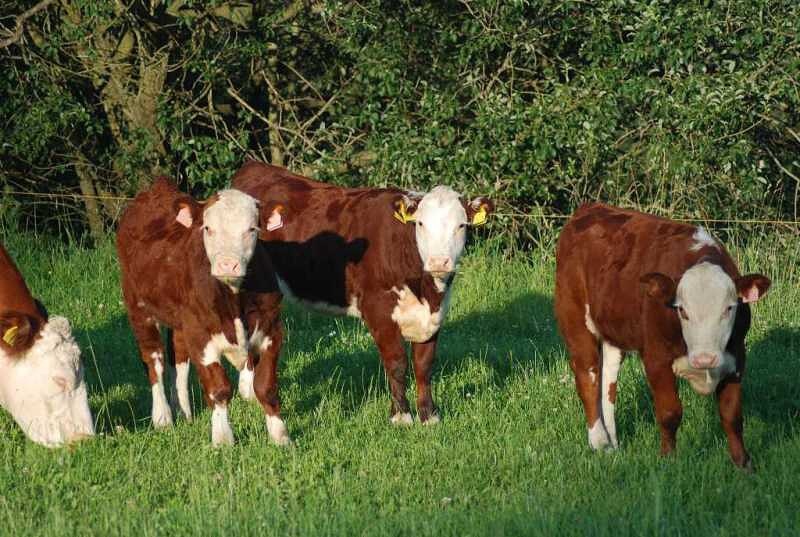 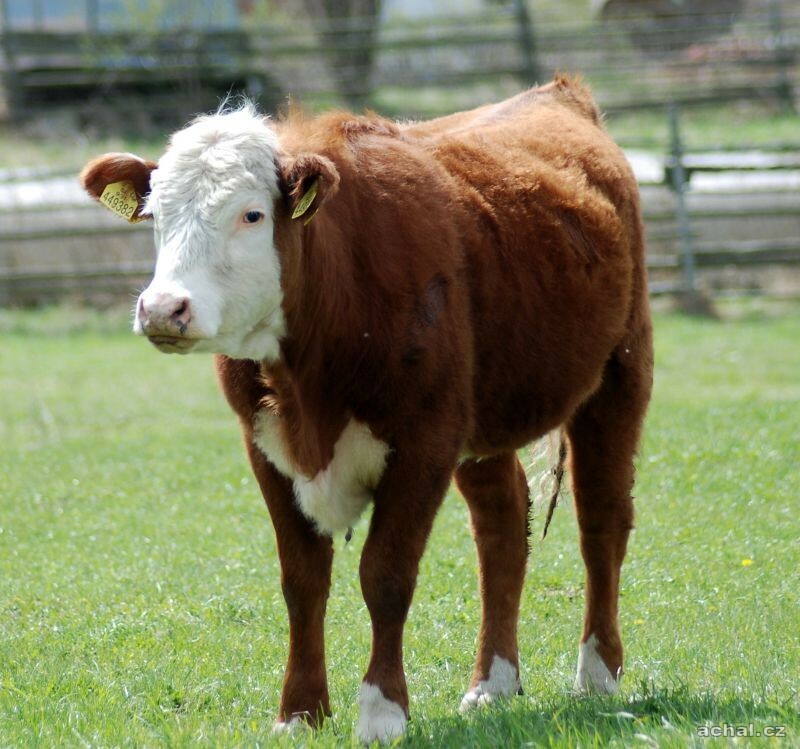 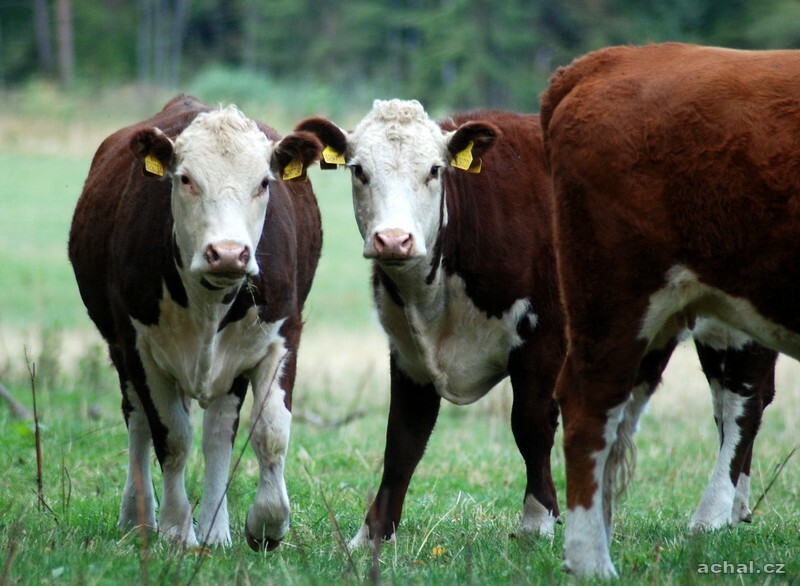 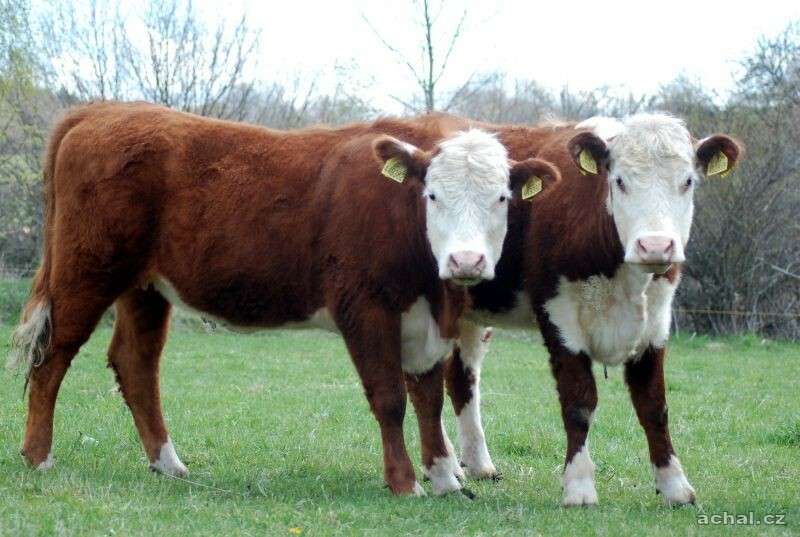 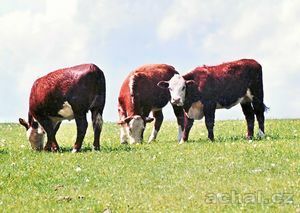 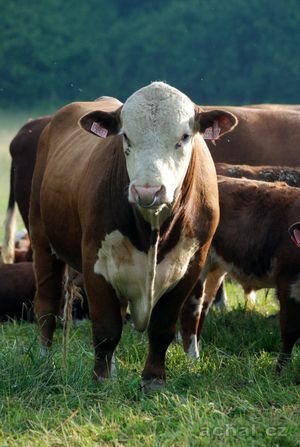 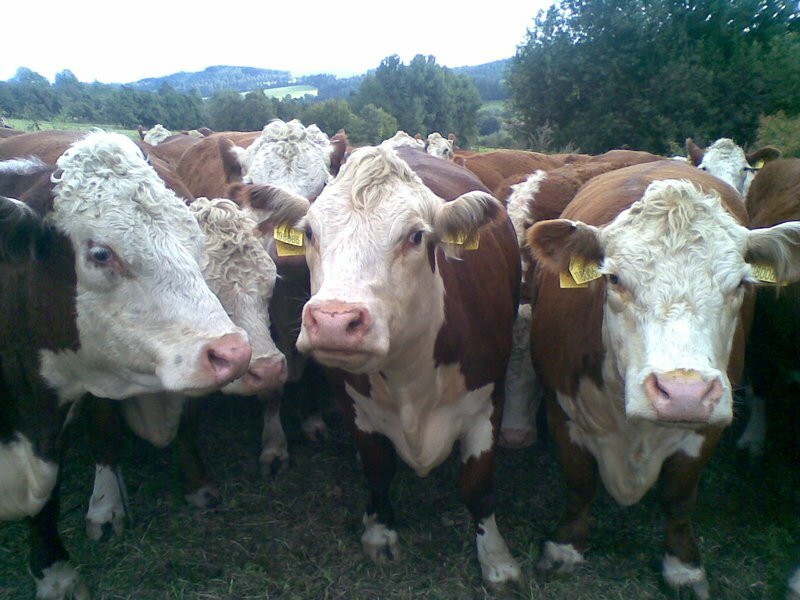 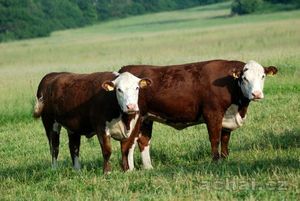 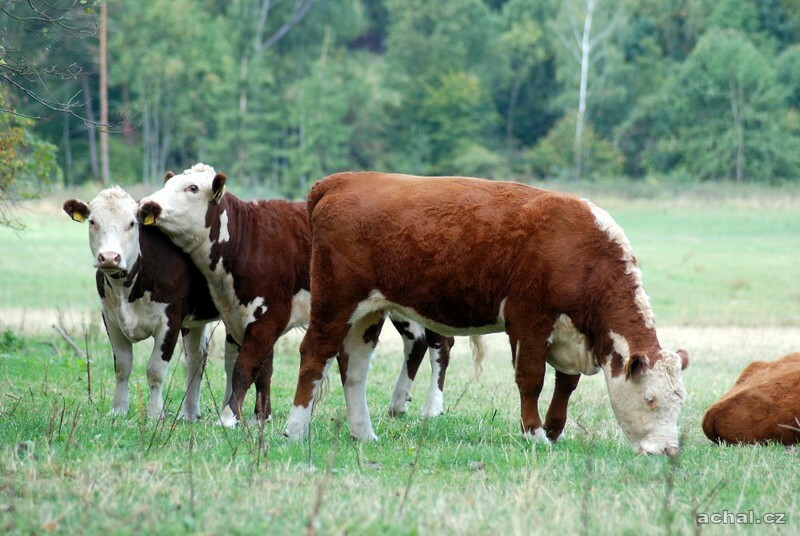 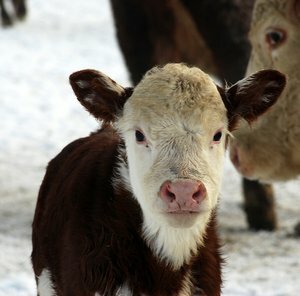 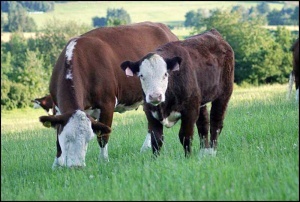 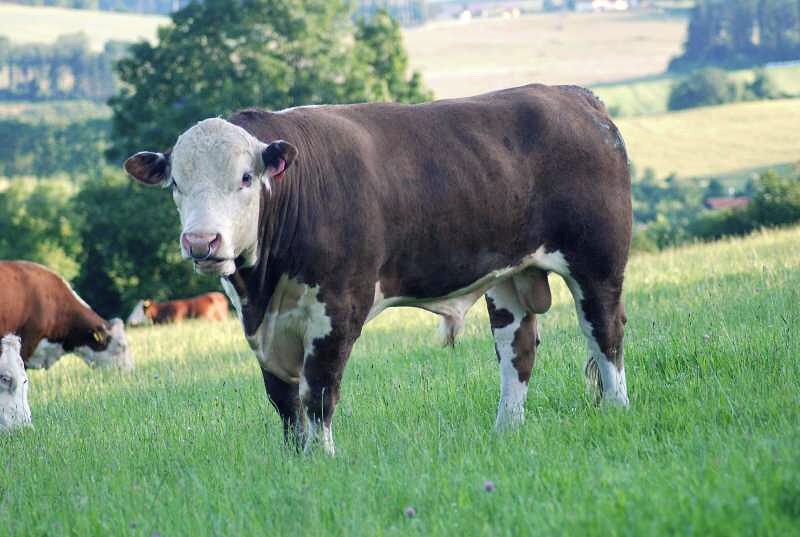 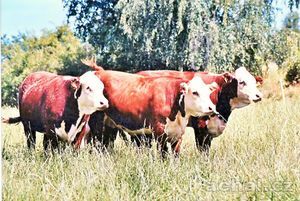 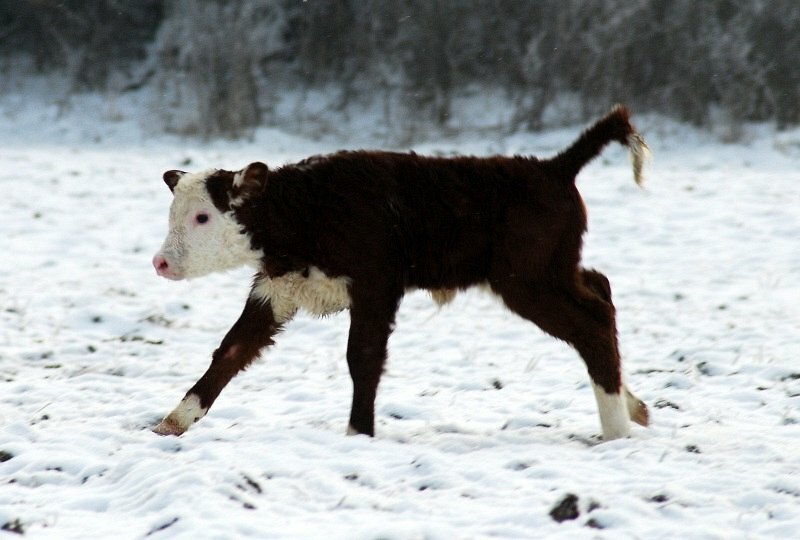 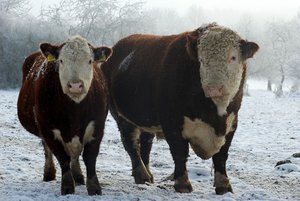 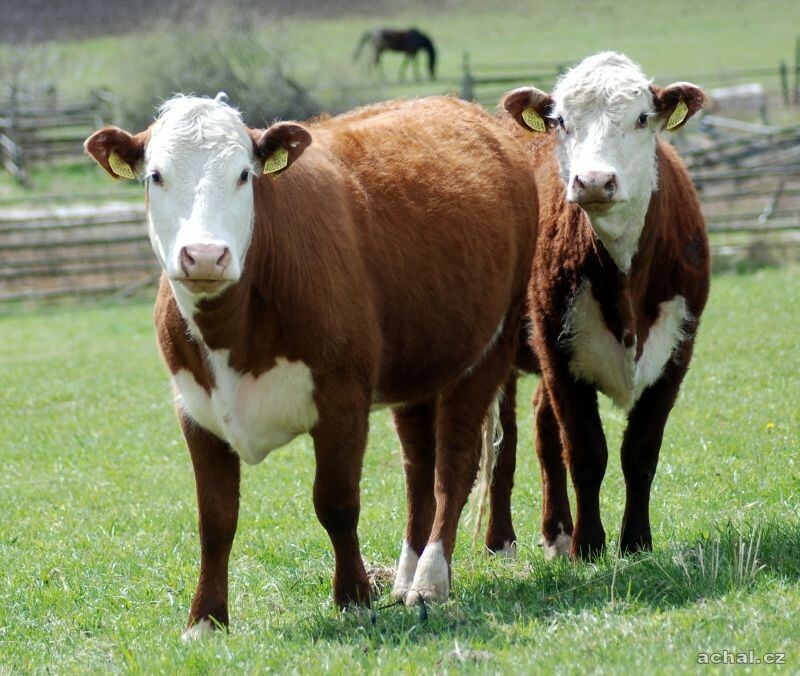 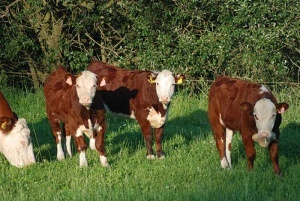 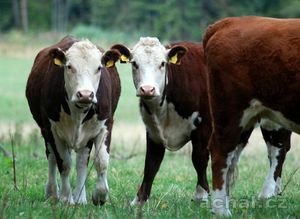 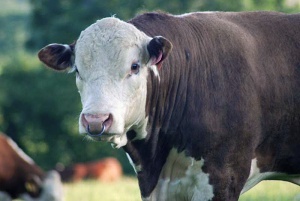 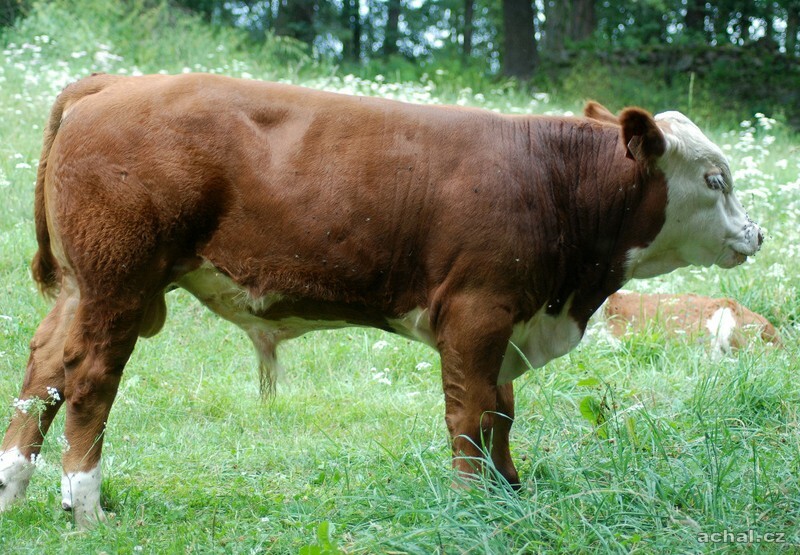 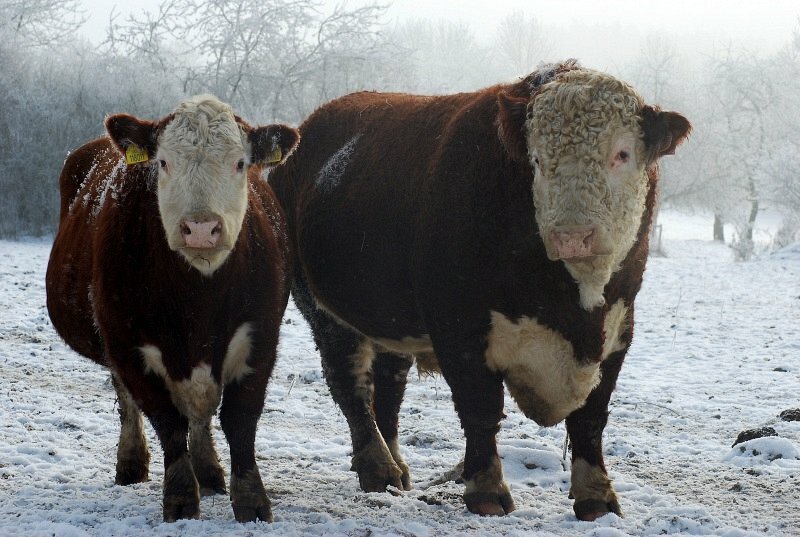 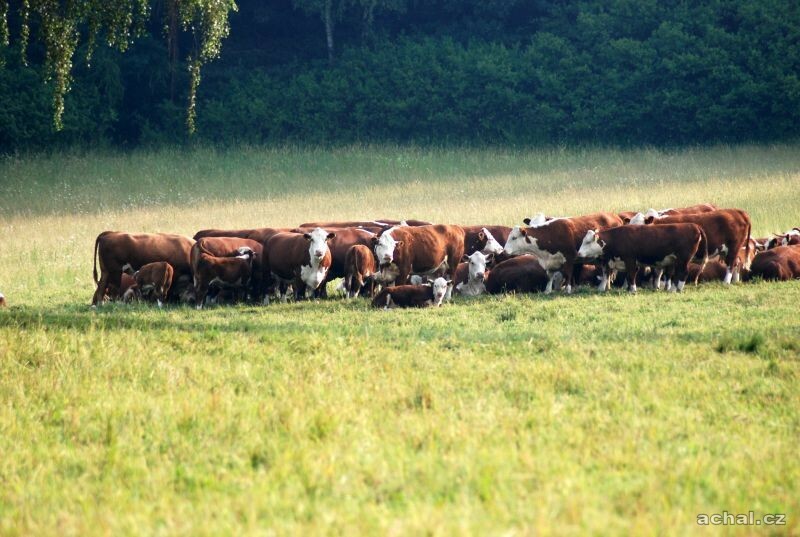 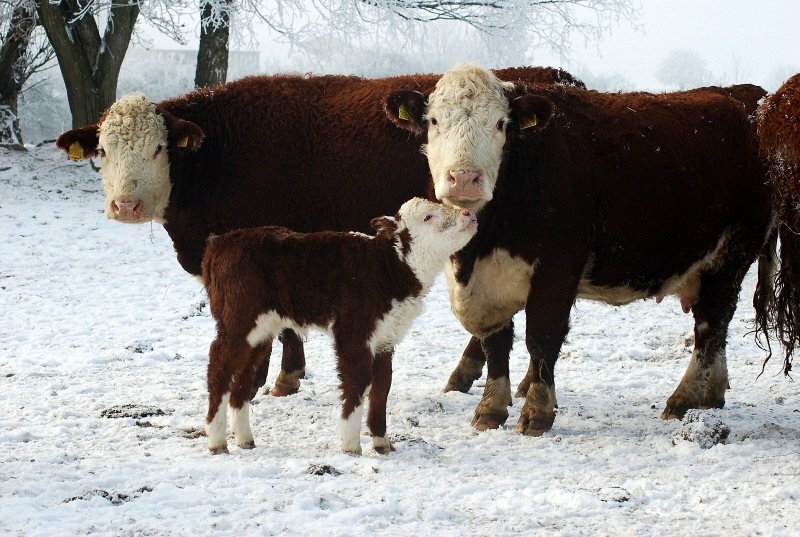 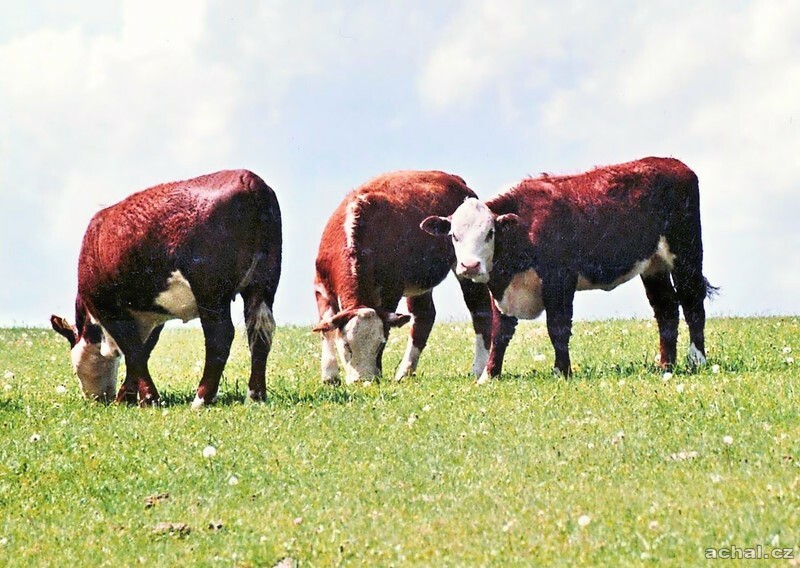 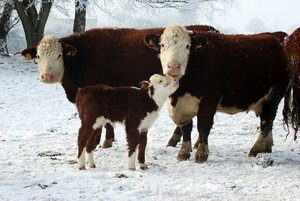 Hereford cattle belong in frames world's paste breed between one from original and mostly runt. Can be with he meet practically in of all climatic area world, for is highly adaptable and excel considerable hygienic immunity and nenaroenosti on natural environment. At present browse radical process in areas cultivation, namely as on lap paste production, that way also exterior. 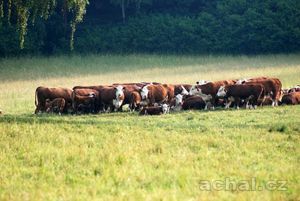 Is so real presupposition, that at onwards trend in amelioration his utilitarian quality, will his popularity in world henceforth very venison, namely first of all for utilize in extensive productive area. On territory ER this breed behavior from year l974, when was dovezena to then republic Canadian population animals, and it to the several agricultural company in Bohemia also on Slovakia. 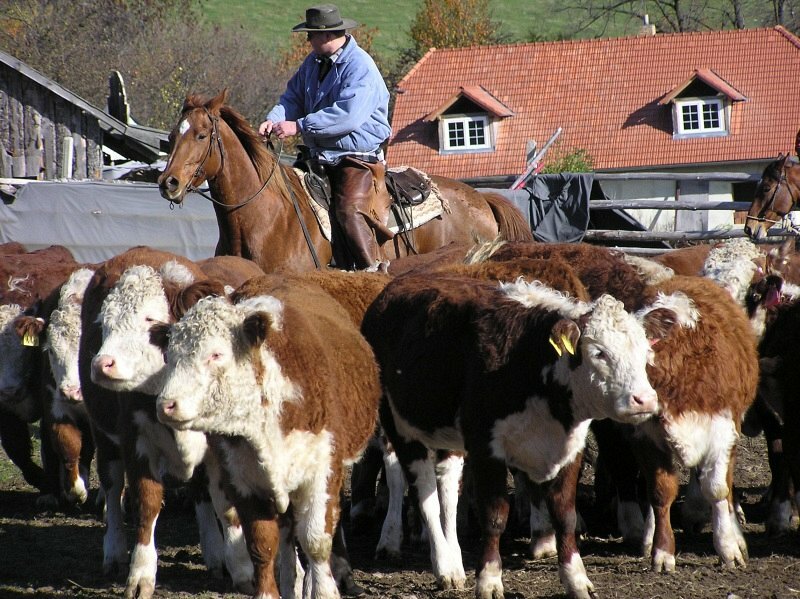 Act about hornless type cattle and animals mark rather small till middle frames though with generous siokovymi and low-level proportions decisive bodily match. 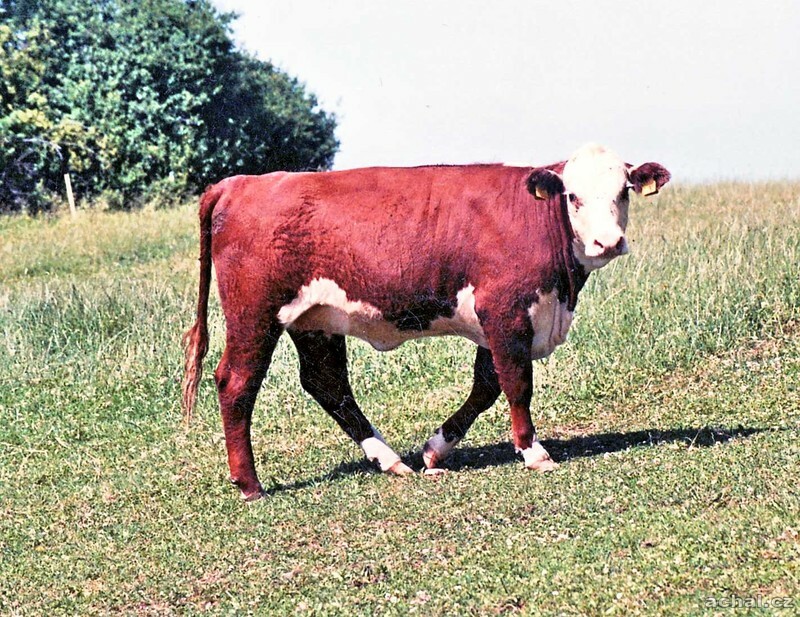 Hereford is in ER behavior from under year 1975. 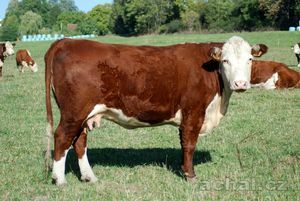 Purchase the first heifer in numbers 1200 piece that time carried in Canada. 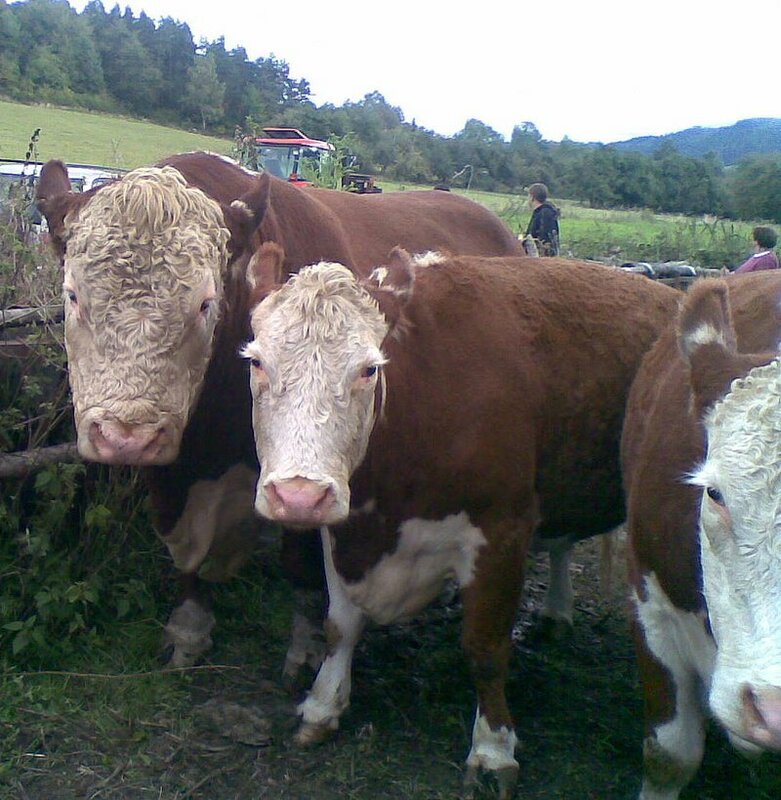 Breed was in of that time behavior in areas west Czech (Tachovsko and Chebsko). Step by step strain hereforda extend also to the rest area ER. 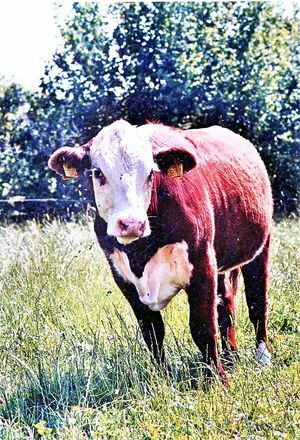 To year 1990 was hereford the only one paste breed behavior in our republic in thorough-bred forms. The first spending realize after this roce from Canada on VLS Heroltovice. Later on was near us purchase from Canada and Federal Republic of Germany turn also strain horned hereforda and succeed more importy hornless hereforda from Canada. 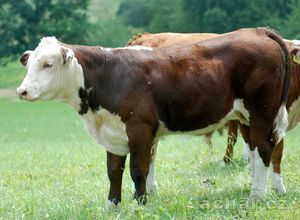 Total importy heifer after roce 1990 from abroad nepoesahly 250 piece, therefore attention fancier range especially on importy plemeniku and sperm bull bigger bodily frames from USA, Canada, Denmark and limited also from Federal Republic of Germany and their utilize on our original herefordskych tie. 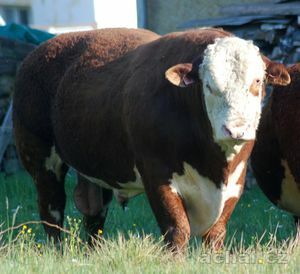 Height breed bull behind last decade increase about 10 cm and weight is higher about c. 120 kg. Expansion bodily frames highly display also on heifer.